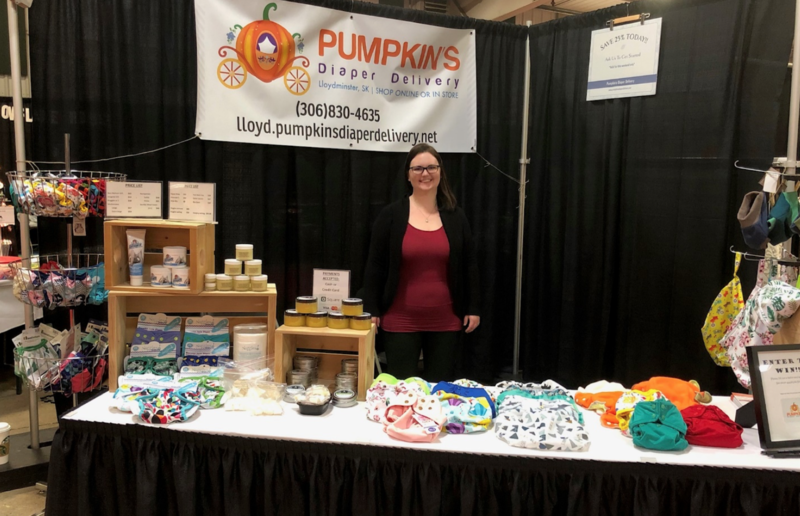 Pumpkin’s Diaper Delivery Lloydminster! Courtney, the wonderful mama who is running this location, was a previous co-worker of Cayley’s, and we are so excited to hand over the reins of a local cloth diaper service to her. With her own daughter is sporting a fluff bum, Courtney has the knowledge and background to help parents troubleshoot cloth diapers – plus, she absolutely loves all of the ‘science’ behind washing diapers for you! Pumpkin’s Lloydminster will be offering cloth diaper delivery, a cloth rental service, and cloth diaper stripping, in addition to stocking all sorts of wonderful products in the online shop (and on that note, we’re still looking at expanding our e-store’s product line-up, so feel free to send any eco-friendly and/or baby related suggestions our way!). If you know of any parents local to Lloydminster or the surrounding area who might be interested in exploring cloth diapering, be sure to send them Courtney’s way! You can give her a follow on Facebook and view her website at www.lloyd.pumpkinsdiaperdelivery.net. Congratulations, Courtney – we can’t wait to hear about all the success you have with Pumpkin’s Lloydminster!